The authorities are taking necessary preparations to take ailing BNP Chairperson Khaleda Zia to Bangabandhu Sheikh Mujib Medical University (BSMMU) in the capital on Sunday for ensuring her better treatment as per the court order. 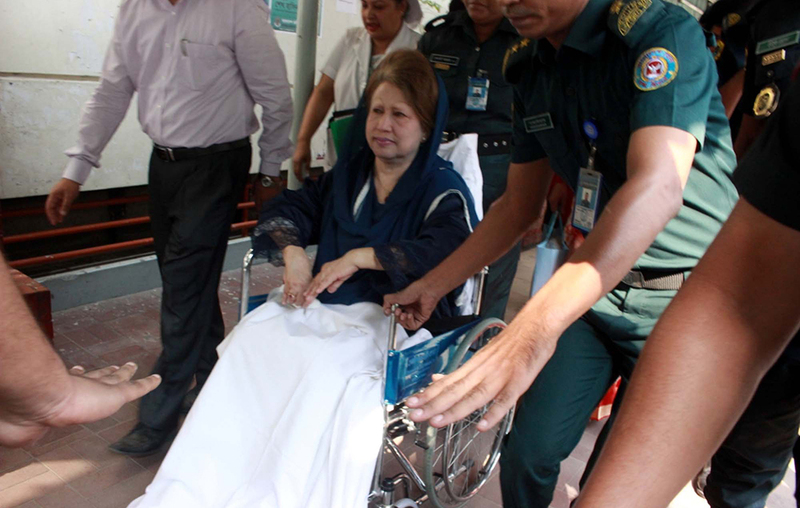 The BNP Chairperson will be taken to the hospital around 12pm, said jail authorities. Law enforcers have been deployed at the gates of the former central jail on Nazimuddin Road in Old Dhaka and the hospital. Meanwhile, two members of the medical board formed for her treatment visited 621,622 cabins at the cabin block where she will be kept. Earlier on March 4, a high-profile BNP delegation led by its secretary general Mirza Fakhrul Islam Alamgir met Home Minister Asaduzzaman Khan to discuss Khaleda Zia’s health condition and her treatment. BNP chairperson Khaleda Zia has been in jail since a special court convicted her in Zia Orphanage Trust graft case on February 8 last year.